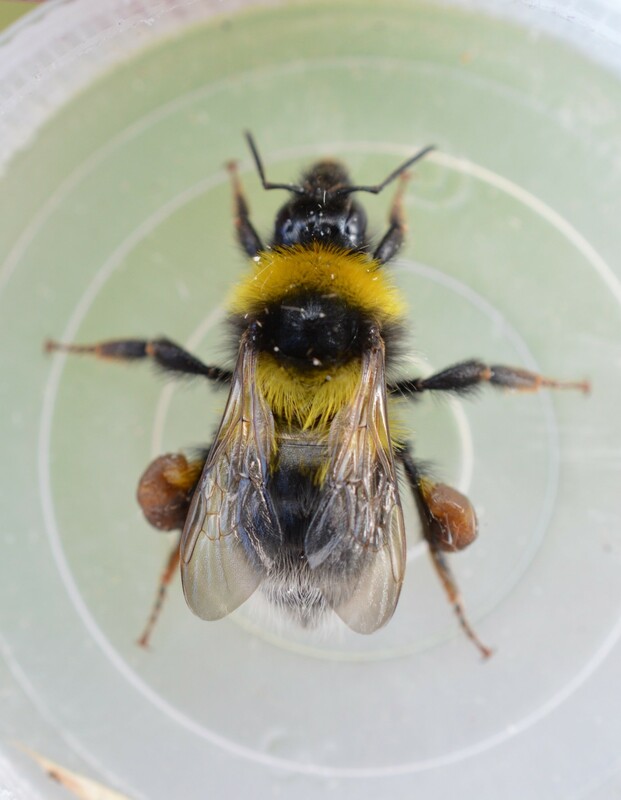 Last week we started on the Heath Bumblebee (B. jonellus) one of the trickier species, I only say it is tricky in that it has a confusion species the Garden Bumblebee (B. hortorum), which we’ll be covering this week. 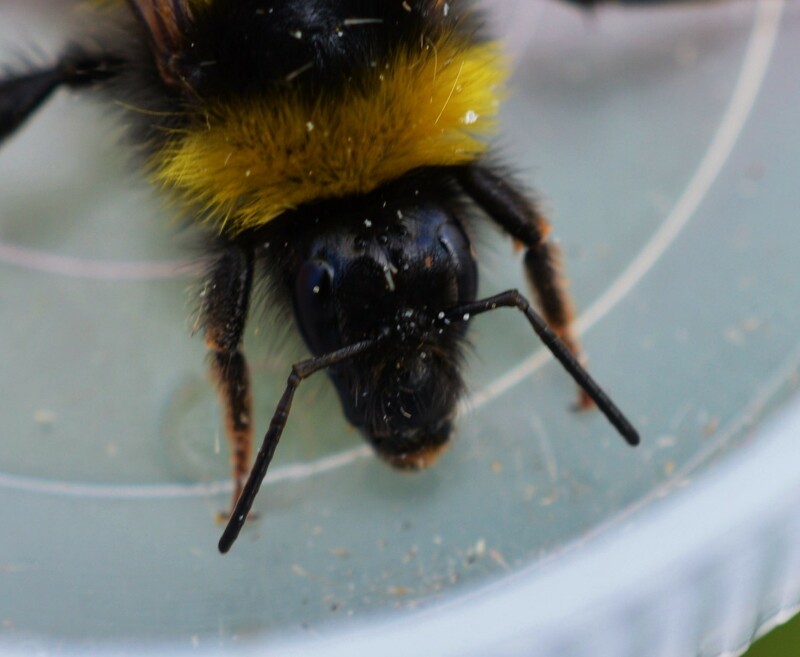 The Garden Bumblebee is a relatively widespread species but not one that I come across altogether too often. 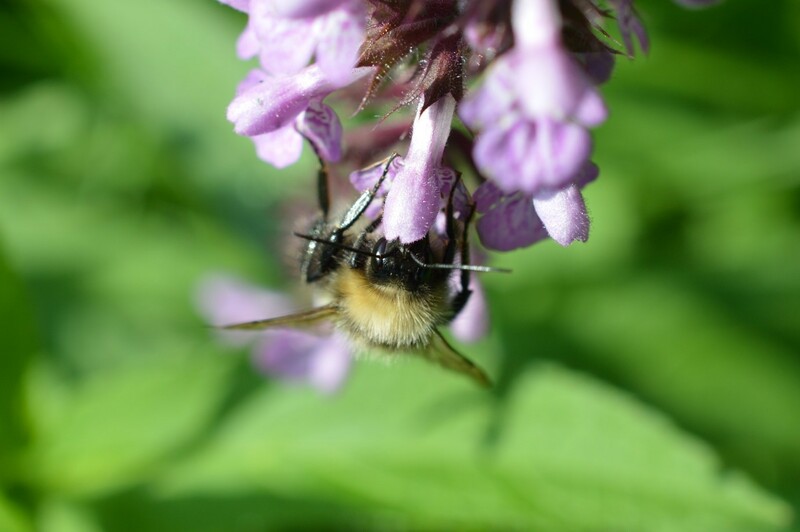 As the name suggests it can be found in gardens, generally feeding amongst plant species which are suited to long tongue species of bumblebees such as Foxglove (Digitalis purpurea), but is also regularly found amongst Bush Vetch (Vicia sepium) and Red Clover (Trifolium pratense). It can also be found in range of other habitats, but due to the similarity with the B. jonellus close inspection is required to be certain of identification. The benefits of having a long tongue means that species like B. hortorum can feed with relative ease in comparison to short tongued species which would find this type of feeding difficult. The actual identification of the species follows the same path as B. jonellus. Firstly the thing to look out for is tail colour, in this case the tail is white. Next is the colour and amount of bands present on the individual, which is two yellow bands on the thorax and one on the abdomen. 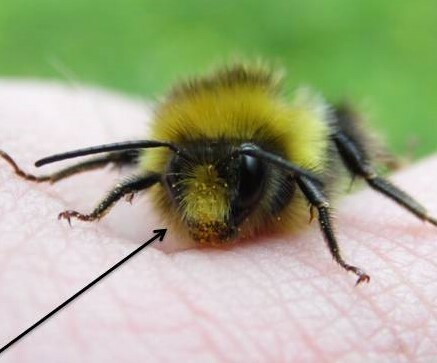 Similarly to B. jonellus, the yellow bands of B. hortorum give the species an overall more yellow appearance (in comparison to B. lucorum or B. terrestris). B. hortorum showing 2 yellow bands on the thorax and one on the abdomen along with a white tail. The long, horse shaped face is also noticeable in the above picture. You can tell that this individual has been hard at work due to the size of the pollen baskets. As covered last week, there is one final step to the identification process and that involves looking at the shape of the face. B. hortorum has a long “horse” shaped face, which is very noticeable after getting your eye accustomed to it. In comparison B. jonellus has a short, stubby “heart” shaped face”. The long, horse shaped face of B. hortorum a very noticeable features once you get your eye in – Oisín Duffy. If anyone out there has any questions or suggestions regarding this piece or maybe regarding future pieces, feel free to get in touch through twitter @OshDuffy. If you enjoy posts and especially images of plants and pollinators, then be sure to follow me on twitter also.